The best electronics and gadgets give you the most for your money while also providing the functions you need to make your life easier and get the job done. Of course, there's always something new on the horizon. The latest and greatest gadget today may well be outdated tomorrow. Visit LoveToKnow Best to get relevant information about the devices you want or need! No matter what task you need to accomplish, chances are there's an electronic device to help make it a little easier or a bit (or a lot!) more interactive. Device protection: Tablets have become a must-have device, and so that means you need to make sure yours is protected. Learn about various options for Kindle Fire cases. Capturing images: Cell phone cameras are great, but sometimes you need a more powerful device for capturing images. One of the best available digital cameras may be what you need. Listening devices: Enhance digital sound via your favorite device with Bluetooth speakers or keep sound to yourself with on-the-ear or over-the-ear headphones. 3D printers: While a standard printer is a must-have for day-to-day chores, you can take your device collection to a new level and wow your friends with a cool 3D printer. Find your way: If you need a portable navigation device other than your cell phone, check out these handheld GPS navigation systems. They're awesome for geocaching! 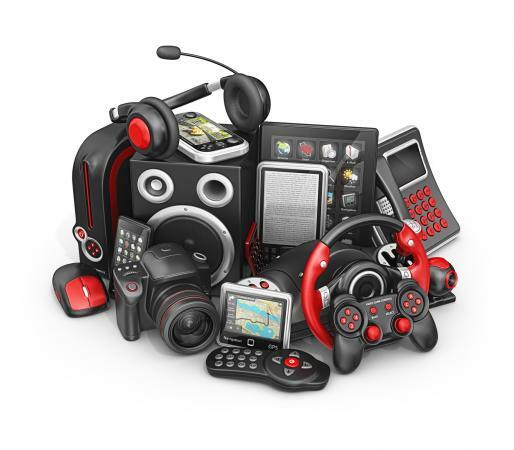 Gaming: With so many available gaming systems, it's important to keep up-to-date with the latest video game technology, as well as classic gaming units. Various gadgets and electronic devices can become a vital part of your everyday home life, as well as at work and for recreational pursuits. They can entertain you, keep you connected to friends and family, and even help boost your productivity. Whatever gadgets you are using today, chances are many of them didn't exist just a few years ago. That's why it's important to stay informed about what's coming up on the horizon. When you're wondering what's new in the world of devices, visit this category on LoveToKnow Best. You just might discover updated information since the last time you stopped by the site.